Now that the buzz has somehow eased off, it’s high time we dived into this ocean of (mostly very good) remixes to extract the very best! 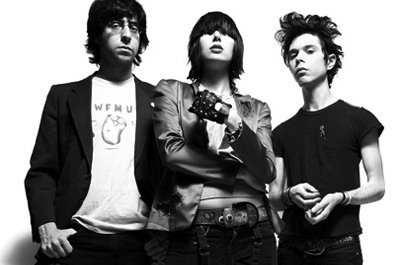 The band was formed in New York City in the late summer of 2000 by Karen O (vocals), Nick Zinner (guitar, keyboards) and Brian Chase (drums). Their music melds genres ranging from new wave to art punk and garage rock using heavy guitars, synthetic sounds and screaming vocals. Them Jeans remix is just awesome!!! Let’s get more from the Dirty Tees… They are where its at!